Indie Retro News: Aaron White releases the latest C64 To Amiga Chiptunes Volume 3 Album! Aaron White releases the latest C64 To Amiga Chiptunes Volume 3 Album! We are currently experiencing a stunning heatwave here in the UK with temps into the mid 30's. So what better to enjoy this lovely summer weather, apart from with a cool fan and a drink, is by listening to Aaron White's latest chiptune album 'C64 To Amiga Chiptunes Volume 3' which was only just released! In this fine album for your Amiga, you'll experience the greatness of the C64, with classic gaming tracks such as DJ Puff, Gryzor, Shinobi, Pacland, New Zealand Story, CJ's Antics, Space Harrier, Yie Ar Kung Fu and Paperboy. 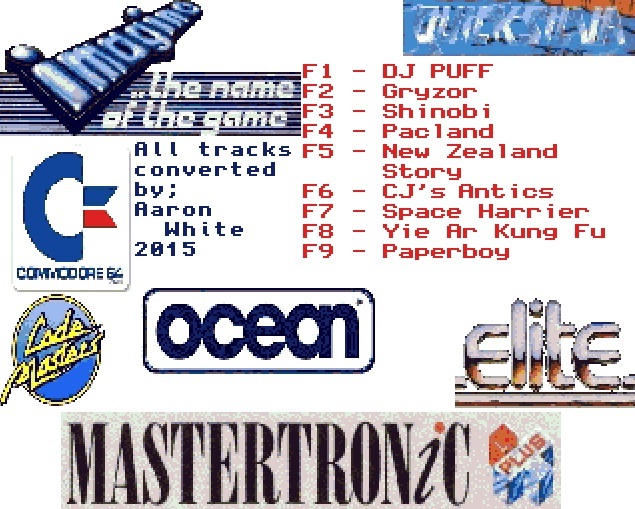 From Code Masters to Mastertronic, such fine chiptunes all given that great conversion, thanks to as always Aaron White!